Q&A Sessions and Feedback Surveys become user-friendly for you, both, as a speaker or as a guest. We speed up the feedback completion, as well as the run of tests for internal events (trainings). The interaction between the stakeholders of the event is made during the event and also after the official closing. as well as for speakers. We promote the events of our partners on our own social media channels. Eventlink360 is a must- have for any kind of B2C or B2B event, that wishes to grant an innovative networking experience, guaranteed interaction with the organisers and speakers, a customized space, that’s useful and user-friendly. The participants can involve easier in debates and can offer feedback in real-time, being an active part of the event. The organisers can measure the events parameters and the added value granted to sponsors and guests. Integrated mobile platform that provides to all key players of an event a virtual space, granting a unique experience and a considerably higher amount of opportunities and benefits at events. 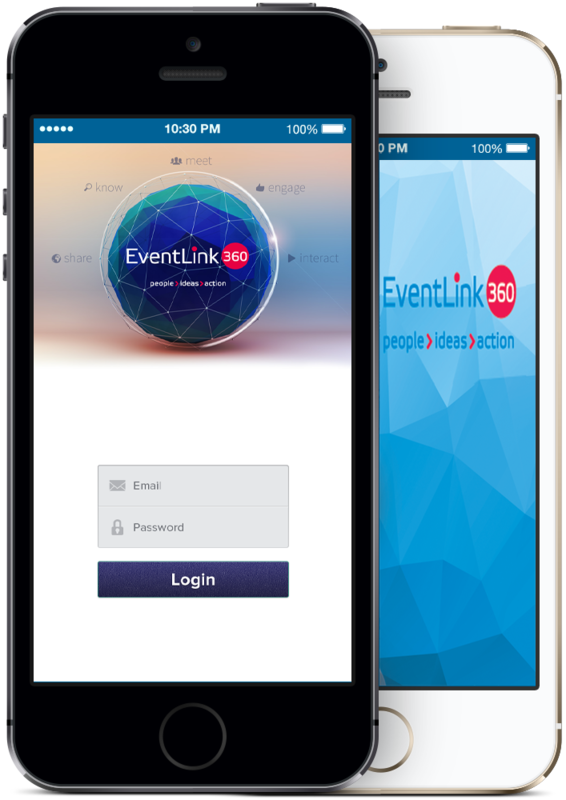 I have thoroughly enjoyed using the EventLink360 app. I strongly believe that, considering all the participants at a large event are using this app, exploring all the functionalities it offers, interaction and networking during the event will become much more efficient compared to the classic type of event . One can, therefore, benefit from real opportunities. An innovative solution! It has been a new kind of experience that has pleasantly surprised me, has aroused my interest, determining me to offer real-time feedback. 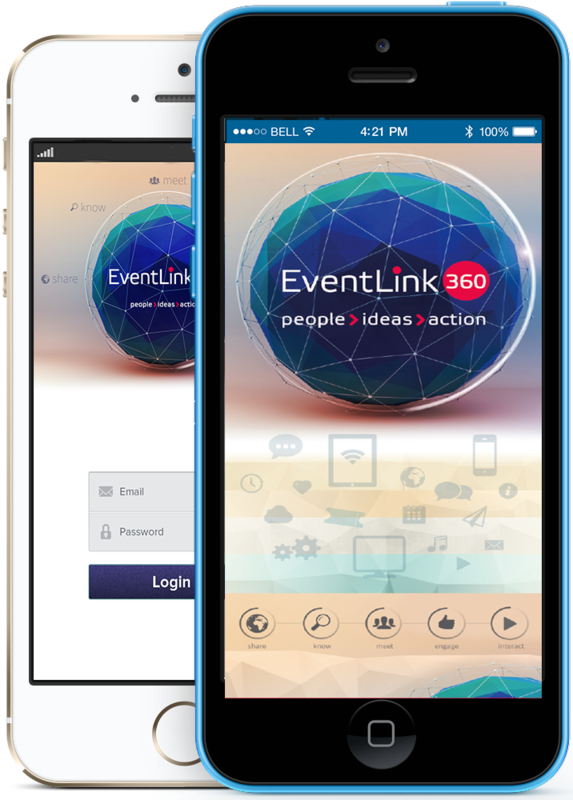 EventLink360 is the missing link of business events. The real time feedback collection and the accelerated networking platform are highly added values features that enriches participation to a business event. In simple words, EventLink360 is doing simple and tremendous efficient tasks: is connecting people and ideas, is creating opportunities. I recommend EventLink360 with trust and enthusiasm. My collaboration with EventLink360 has pleasantly surprised me. It was definitely the best decision I could have made in the process of organizing business networking events. Every step of the process, EventLink360 team has surprised me with many advantages I didn't even expect to benefit from. Effective communication and fast results are the aspects I have mostly appreciated this team for! An innovative solution! It was a new experience that pleasantly surprised me, aroused my interest, causing me to provide feedback in real time. The instrument facilitates the interaction between participants and creates more opportunities for collaboration at large events. 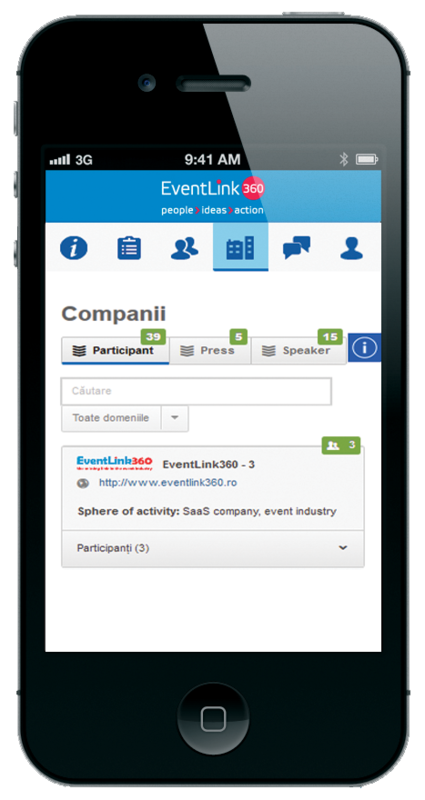 The chances of establishing long-term partnerships and collaborations exponentially increase when a complex event, attended by a large number of people, is sustained by EventLink360. At LSRS we support innovation and communication technology. Therefore we believe that such a solution is an important ingredient of a future standard recipe for successful, efficient events. 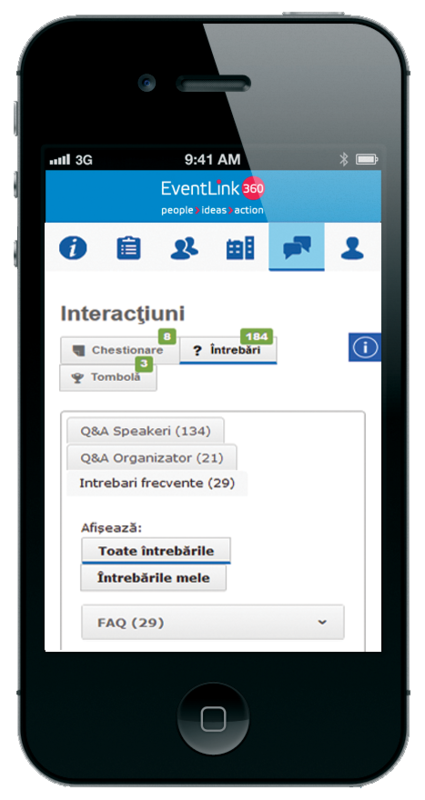 I have used EventLink360 for the first time on my smartphone at Business Ethics and Compliance event in Bucharest and then on my laptop. The app itself is designed to answer a specific need felt during various conferences, seminars etc. : the need to get to know who those people around you are, their profile and occupation and whether there lies any opportunity for you in contacting them. This way you can avoid useless, random chating during coffee breaks. The instrument is accesible and fast (very important!). I strongly recommend it for a wide range of events, peer-to-peer, networking events, because it fastens the conversion of meetings with professionals in relevant areas into real opportunities. 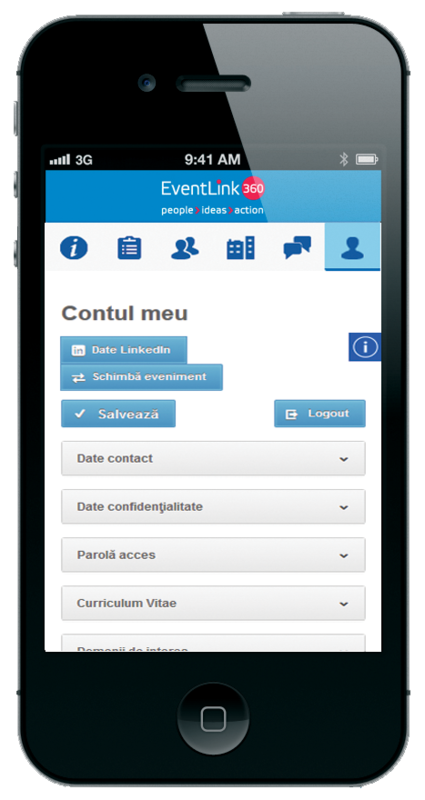 I have used EventLink360 app at Business Ethics and Compliance event, organized by the Center for Legal Resources with your support and it has proven to be very useful. For large events, with many participants, it definitely shortens the time of interaction. A very interesting instrument. Congratulations! I used EventLink360 to my event - Leaders in Marketing with great results. EventLink360 is adding great and unique value to all event,s stakeholders: organisers, partners/sponsors, speakers, attendees. Strongly recommended. I am very glad that I had the chance to work with EventLink360 team and to make this instrument part of our event, Business Ethics and Compliance. It allows partipants to quickly establish new connections, because many of them don,t know each other very well so it is better to exchange contact information, check each other,s profiles, chat during the conference and also to set some meetings at the venue. 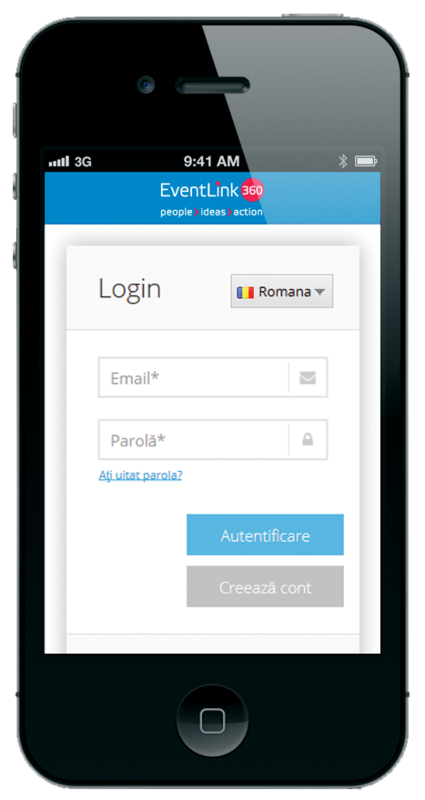 I am pleasantly surprised than over a half of the number of participants at this conference rapidly got used to EventLink360 and managed to efficiently use the application during and after the event. Thank you, EventLink360 and good luck! I used EventLink360 the events we organize and we obtained very good results. Platform improves dynamic and interactive events, as people put more questions to speakers through the application. It seems that in Romania, there is still a certain shyness or reluctance to come forward to ask questions and EventLink360 comes to compensate this and reveal the questions of the audience. Also, the last event I recorded an increase of about 16% of questionnaires feedback received, the volume that help us get a clearer picture of how our audience received the proposed topics, presentations of guest speakers and other key issues for obtaining a successful business event. We have used EventLink360 for our event supported by Capital magazine, Freelancing: Experiencing independence, at The Hub Bucharest. We had an excellent collaboration with EventLink360. The app is fast and easily accesible, with an intuitive menu, user-friendly interface and a wide range of functionalities. We look forward to further collaborations with EventLink360! Are you organising an event and you wish to maximize its added value? 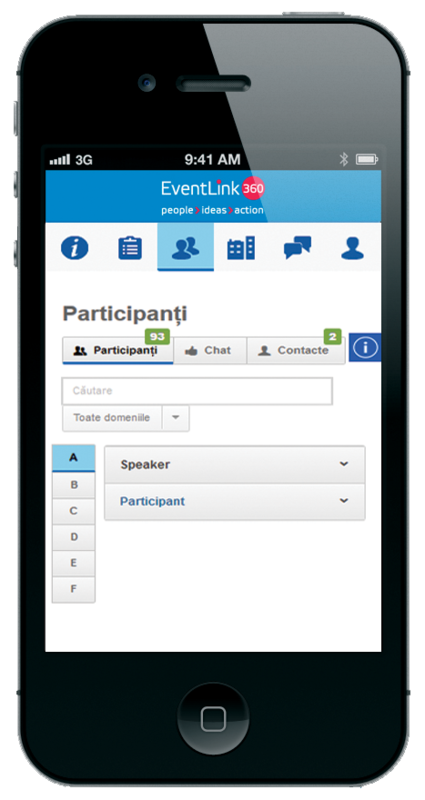 We identify together the necessary functionalities according to the event type. You are defining the entire configuration, from layout to content. The platform is easily customizable according to your specifications. but you don’t have the needed instruments(tablets, WiFi, printer badges on spot)? EventLink360 can help you with devices and support. Our team offers support during and after the event. UPS! Your message was not sent..
**Verify your email address, the fields must be filled in for longer than 1 character.